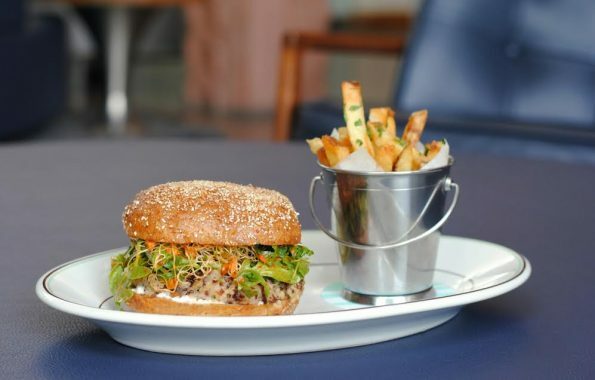 One of our favorite places, ZuZu inside the hip Hotel Valley Ho in Downtown Scottsdale, has unveiled a brand-new burger menu. The restaurant serves seasonal American fare made with fresh, local ingredients. Burgers are ground fresh daily, served on homemade buns. Stop in for lunch or weekend brunch to try these new favorites. Each burger comes with a side of twice-cooked crispy fries (these fries are to die for! ), homemade chips or coleslaw. A gluten-free bun can be added for $1. Add a 16-ounce local draft from SanTan Brewing or Four Peaks Brewing Co. for $4, or a specially priced glass of wine from a selection for $9. ZuZu serves lunch Monday through Friday from 11:15 a.m. to 2:30 p.m., and brunch on Saturdays and Sundays from 6 a.m. to 2:30 p.m. View the menus and make reservations online at www.HotelValleyHo.com.